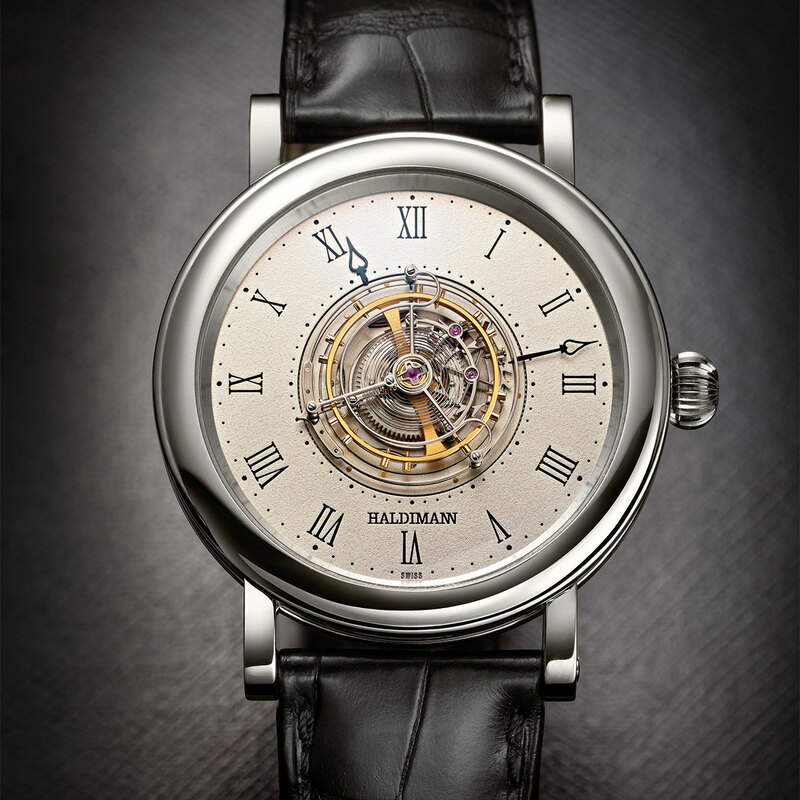 Watchmaking is a tradition that goes back centuries for the Haldimann family, to 1642 precisely. A mechanical wizard and the inventor of the flying central tourbillon, Beat Haldimann is surely the pride of his ancestors. This child of the Bernese Oberland believes watches are first and foremost pieces of art. Moreover, time is nothing more than a pretext for his concept of watchmaking. It should come as no surprise, therefore, that production never exceeds a handful of pieces a year. 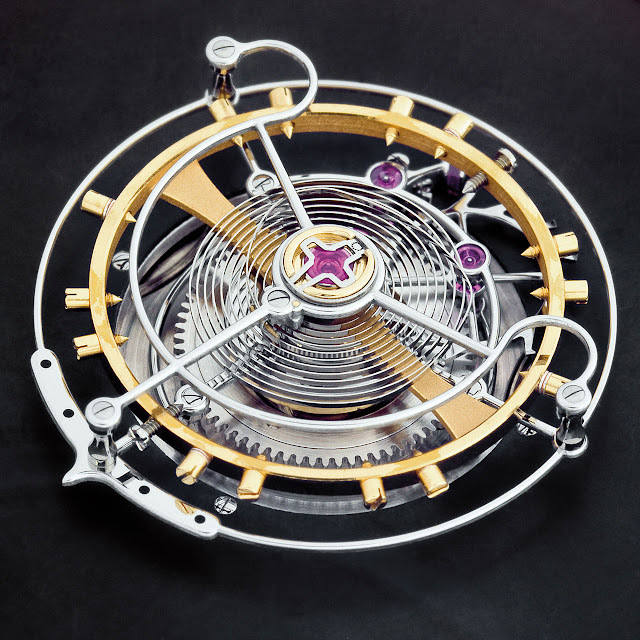 The H1 Flying Central Tourbillon is one of these rare works. Fitted with three barrels, it has been entirely designed, developed and produced in the Haldimann workshops in Thun. The platinum or gold case is also crafted in-house and hand-finished. This watch's classic aesthetic, together with its mechanical sobriety, unequivocally convey the brand's artistic vocation. Were there a competition for the most beautiful flying central tourbillon, few if any could challenge the H1. 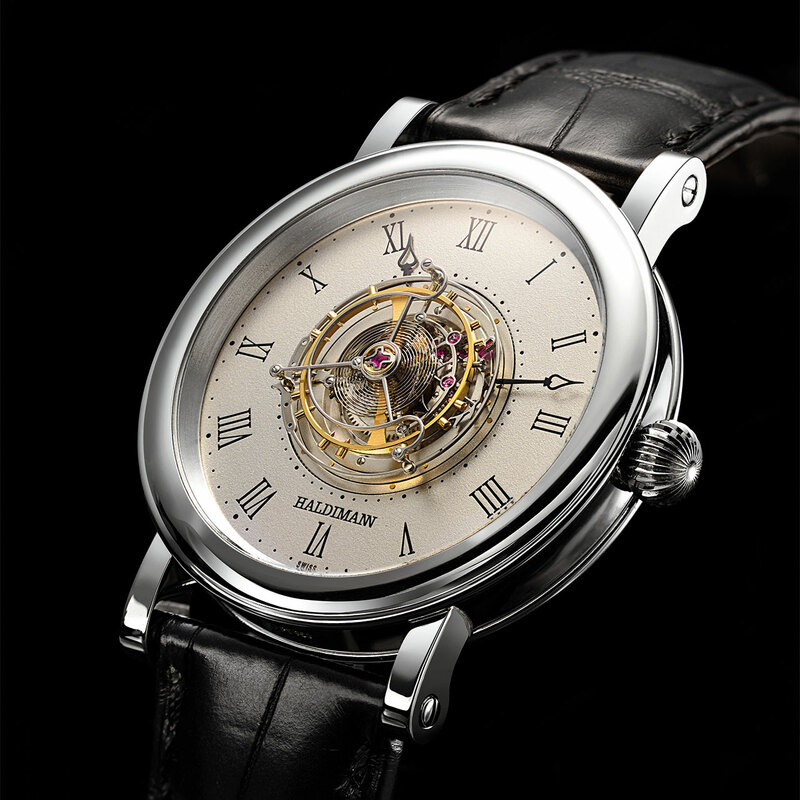 Mechanical hand-wound, H-Zen.A calibre, 18,000 vib/h, flying central tourbillon, three barrels. 18K yellow, pink or white gold, or 950 platinum. Anti-reflective sapphire crystals, front and back. Water-resistant to 30 metres (3 bar/100 ft). Black or rhodium-plated, Roman numerals, central tourbillon. Hand-stitched alligator, folding clasp or buckle in 18K gold or 950 platinum.